OSIRIS-REx is headed to Bennu, a roughly spherical asteroid measuring about 1,614 feet (492 meters) in diameter. All asteroids represent remnants of the building blocks of our solar system, so why did scientists decide to send a mission to this one? Location, location, location. For a sample return mission, accessibility is key. Bennu travels in an Earth-like orbit that varies between .9 and 1.4 astronomical units from the sun (an astronomical unit, or AU, is the average distance between Earth and the sun, about 93 million miles). This puts it within the ideal range of .8 AU to 1.6 AU. Larger diameter means slower rotation. Smaller asteroids – those measuring less than 650 feet in diameter – tend to rotate faster, ejecting surface materials and making it difficult for a spacecraft to get close enough for a sample. With its larger diameter, Bennu completes its day in just over four hours, slow enough for OSIRIS-REx to approach and do its work. Carbon-rich composition. 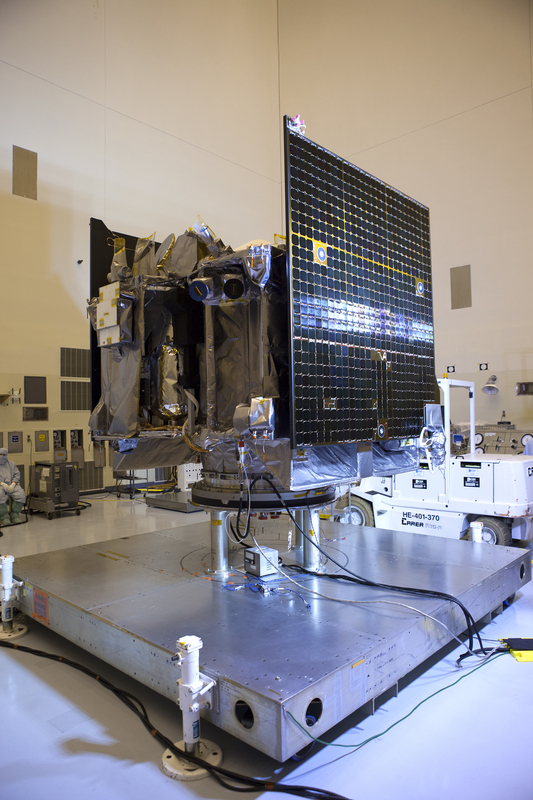 Measurements taken from telescopes indicate Bennu is carbon-rich. This is important because primitive asteroids like these may contain volatiles and organic molecules that could trace the origins of life on Earth and the potential for life elsewhere. In the image above from NASA TV, viewers can clearly see gaseous oxygen venting away from the Atlas V booster. This is normal and is caused when small amounts of cryogenic liquid oxygen boil off and are vented away. “All the fueling operations have gone perfectly fine today,” NASA Launch Commentator Mike Curie reported. 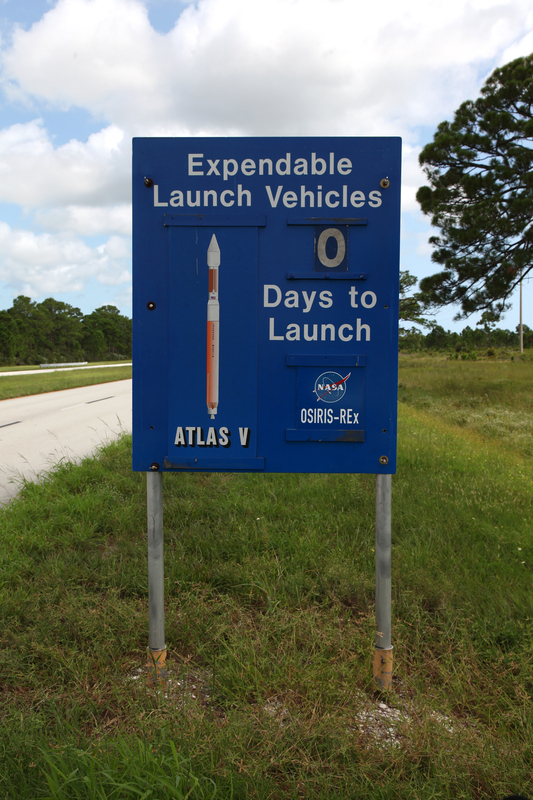 Tonight’s launch window opens at 7:05 p.m. EDT, one hour from now. All activities are on schedule for liftoff of the United Launch Alliance Atlas V 411 rocket carrying NASA’s OSIRIS-REx spacecraft from Space Launch Complex 41. Countdown clocks just passed the T-1 hour mark and activities are proceeding smoothly. Tanking operations continue, and in case you missed it, Launch Weather Officer Clay Flinn has upgraded the forecast to reflect a 90 percent chance of “go” weather at the 7:05 p.m. liftoff time. Spelled out in full, the name of the OSIRIS-REx spacecraft hints at the many goals scientists envision for this mission: to map asteroid Bennu using 3-D laser imaging, retrieve samples from its surface and return those samples to Earth. “The mission name is an awesome acronym that describes our primary science objectives,” said Dante Lauretta, OSIRIS-REx principal investigator. Spectral Interpretation – Provide direct observations for telescopic data of the entire asteroid population. Resource Identification – Map the chemistry and mineralogy of a primitive, carbon-rich asteroid. Security – Measure the Yarkovsky effect, in which the asteroid absorbs the energy in sunlight, then emits that energy in the form of heat. “That causes a small thrust on the asteroid, changing its trajectory over time,” Lauretta explained Tuesday. A better understanding of this phenomenon could not only help scientists know more about Bennu, but could be applied to asteroids throughout our solar system. Regolith Explorer – Document the loose blanket of gravel and dirt on the surface, known as regolith. 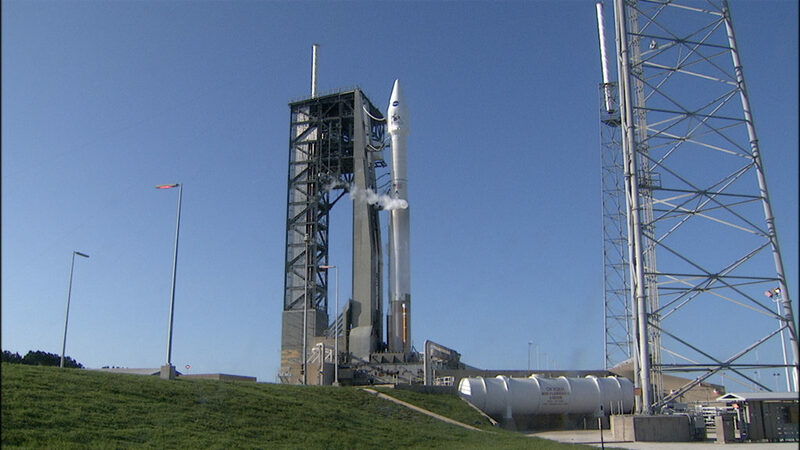 Liftoff is scheduled for 7:05 p.m. EDT from Space Launch Complex 41 at Cape Canaveral Air Force Station in Florida. Countdown clocks just ticked past the T-80 minute mark – T-1 hour, 20 minutes. Launch Weather Officer Clay Flinn with the U.S. Air Force Weather Squadron now is predicting a 90 percent chance of weather cooperating for launch this evening. Mission officials and launch team members are gathered in the Atlas Spaceflight Operations Center, where controllers have been stationed at their consoles since midday. NASA’s Launch Blog originates from a console in nearby Hangar AE. 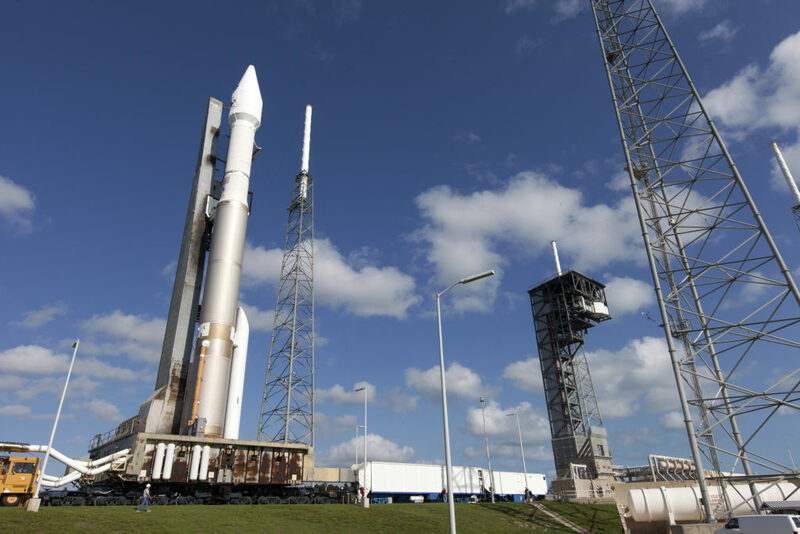 We’ll tell you more about the OSIRIS-REx mission — and the Atlas V rocket that’s sending it on its way — as the countdown continues, so stay with us. Propellants are being loaded into the Atlas V rocket, a process known as tanking. It begins with chilldown of the ground equipment and transfer lines prior to the flow of supercool, cryogenic propellants. The Atlas booster’s single RD-180 engine uses 48,860 gallons of liquid oxygen, or LOX, in combination with a refined kerosene fuel called RP-1. The Centaur’s RL10-A-4-2 engine runs on 4,150 gallons of LOX and 12,680 gallons of liquid hydrogen, or LH2. RP-1 is not a cryogenic propellant like the others and was loaded into the first stage yesterday afternoon. Countdown clocks are at T-1 hour, 39 minutes and counting.